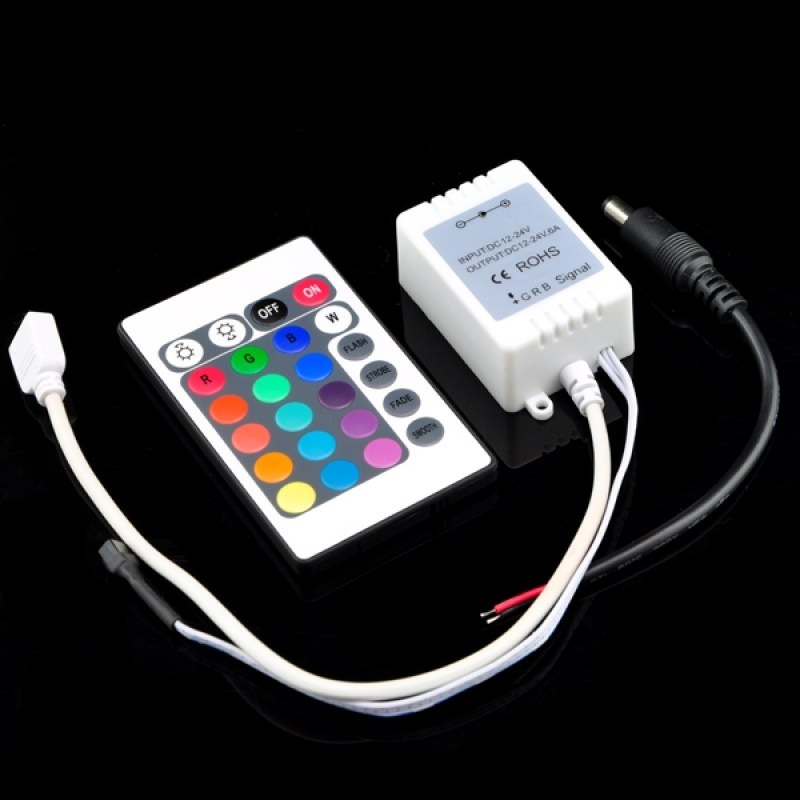 RGB Controller, with IR wireless remote, adopts the advanced micro control unit, which is used to control different color changes of a variety of LED lights such as point source of LED light, LED flexible strip, LED wall washer lamp, glass curtain wall light, LED lighting module, advertisement box of LED lights and so on; It is convenient to connect, and easy to use; According to the actual need of customers, it can carry out hopping changing, gradual changing, strobe flash and other effects of change! 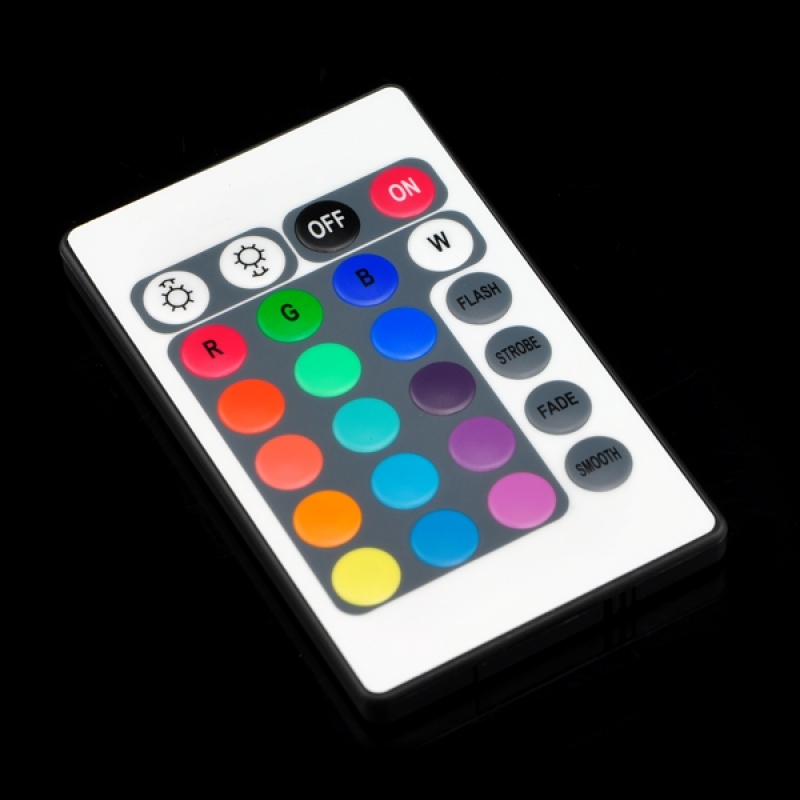 You can use remote control to operate controller. 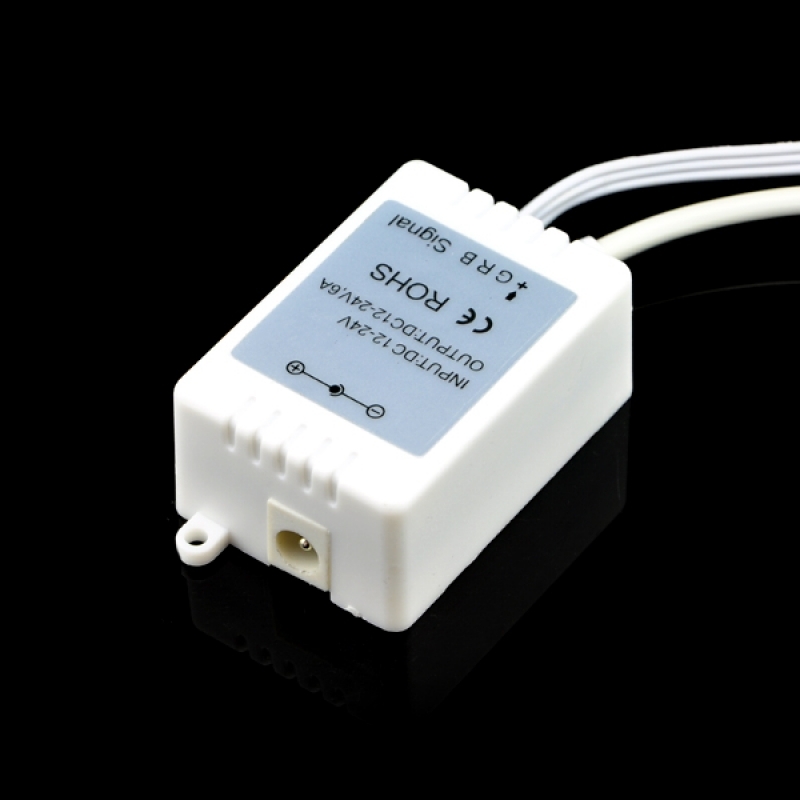 "ON" button can open it when controller is in shutdown condition, and the controller will run automatically its last shutdown model. "OFF" button can close the controller while it is on any mode. Show as Figure model 1 to model 24. The 4-wires coming out of the controller can't be incorrectly interconnected, or short circuit could occur. Connect the wires of the controller and LED fitting as per the instruction. Don't peel off the label on the controller in case any indication information will be missed. The standard warranty is one year, Our company won't be responsible for any damage of the controller due to any wrong operation.